Hi there, it’s me, Max! I am new to the shelter so I’m learning the ropes and meeting the other dogs. Humans keep telling me what a sweet and cute dog I am and that I’m a good boy. I am quiet in my kennel and keep it clean. Playing with the tennis ball and being around humans are two things I love. Come visit me soon, I would love a new family. 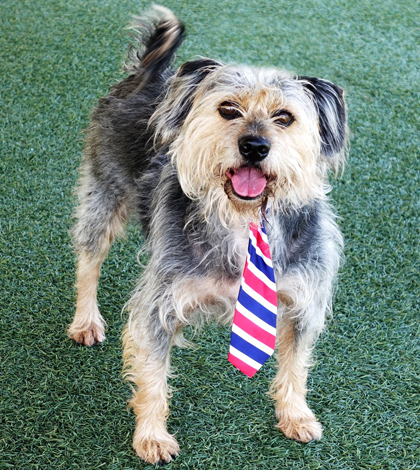 Max is a four-year-old schnauzer mix and weighs 23 pounds. Come visit Max at the shelter or call Helping Strays for more information at 618-939-7389.